Last Friday we were delighted to welcome Complete Prime Residential London associate director Sam Tabor to our Whitechapel offices to meet with the entire Goodlord team. 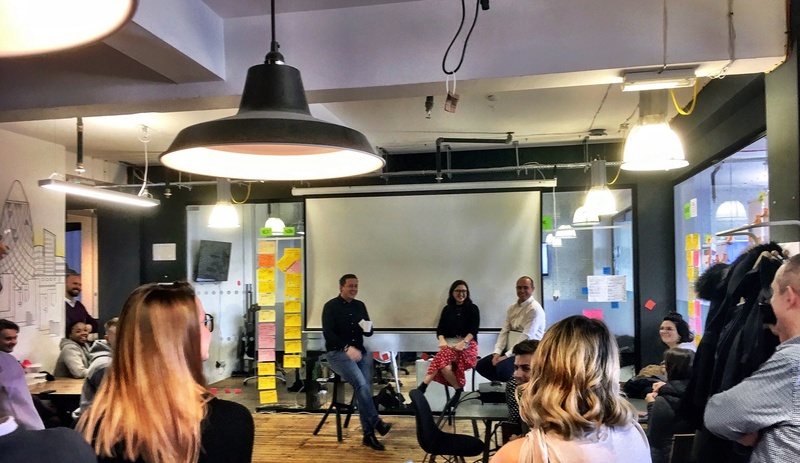 During a 30 minute discussion and Q&A session, Sam told us all about Complete’s experiences of using Goodlord along with his thoughts on the current challenges within the lettings industry. Complete is a large, residential investment asset management specialist that is absolutely committed to top level customer service, considering this to be a key attribute in their referral-based business. When asked what Goodlord means for them, Sam explained “It’s an addition to the level of service we provide our customers, and there would be no way we would have done the numbers we did last year without Goodlord”. Now, 16 months since Complete Prime Residential London joined the Goodlord family, they are completing more lets than ever before. “In 2016 we did 316 lets, 382 in 2017 and we predict we will do upwards of 462 in 2018, in London alone. We achieved this without having to increase the number of administrators we employ", enthuses Sam. The feedback from Complete Prime Residential London’s customers has been positive as well. The move to Goodlord has been seamless from a tenant perspective, and the general feeling is that the agency is now positively differentiated from others through its use of a single, digital platform for setting up tenancies. Sam also reports a significant drop in complaints, which is great to hear. There is always room for improvement, however, and talking directly to our customers is always the best way of finding out how we can make the Goodlord platform even better. We look forward to providing improved functionality in upcoming releases and making the lives of the Complete Prime Residential London team and their tenants even easier. And what of the future for the lettings industry? Despite current challenges Sam remains optimistic, particularly about the benefits that technology can bring.